Spring is finally peeking around the corner and it's a great time to think about plans for the garden. Here are a selection of books filled with colorful inspiration and expert advice. Prime Reading offers more than 1,000 books and magazines for free download to Prime members. Discover 10 of the hottest books in Prime Reading now. Today we look back at a magical year, a few big books of 1999. When we talk, we often talk about books. Here are the books we are talking about. These 9 winners of the PEN Literary Awards are dominated by fresh voices new to the literary landscape. February is almost history. So it's a great time to take a look at the best history books of February. "Barneys" can't surf. These books will make you an amazing surfer, just by reading them. 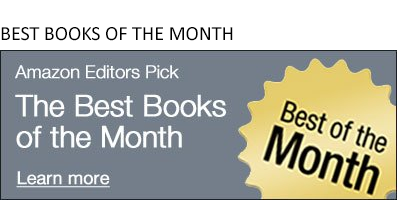 In this month's collection: We catch up with a book we should have never lost track of in the first place; a wise and moving memoir about living life while facing an end coming all too soon; a strange-but-true tale of musical fakery; and the hunt for the deadliest man-eating tiger in history.